Pack of 2 strips of main road, total length 102 cm. 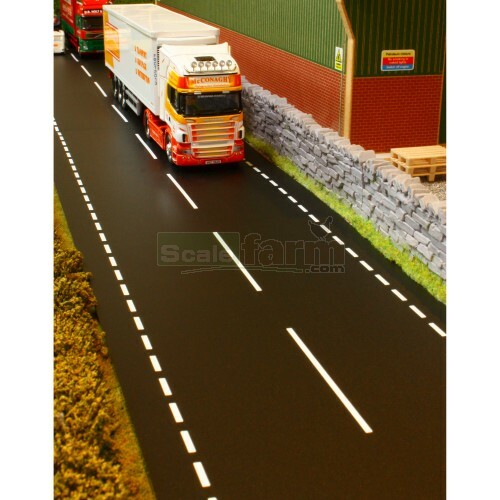 Realistic smooth tarmac effect with road markings. Vehicles and accessories not included.